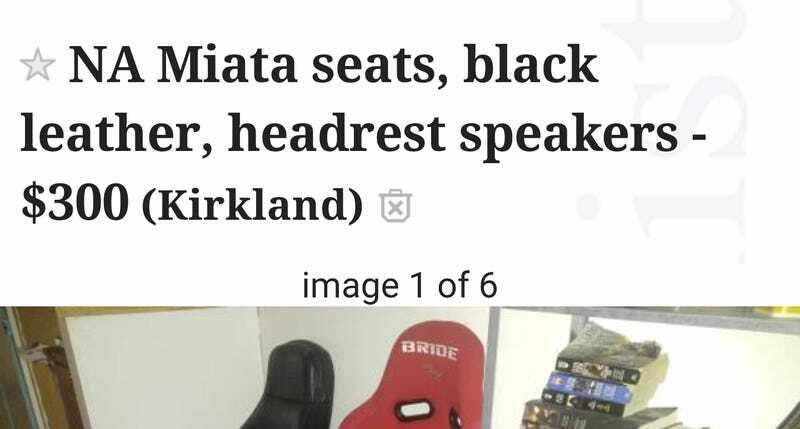 First response, someone asks me if I’m selling the Miata seats, or the bride. If only there was some sort of header at the top of all Craigslist postings to quickly find the most important information.... One can dream. And he also refers to the Miata seats as front seats which is TECHNICALLY right I suppose but it sounds weird, no one calls them that. Then he finishes up by asking if I could transport them, which I clearly stated I could in the ad. Ugh.